You've come to the right place – our Kars4Kids crew in can pick up virtually any car donation, regardless of condition, and usually without a title too. Here’s what our donors had to say about how donating went for them. It was the easiest car donation of the three I've done. The pick-up was quick; the driver arrived exactly on schedule and the paperwork was minimal and easy to fill out. Information over the phone was clear and handled by a person, not a dial tone. . . 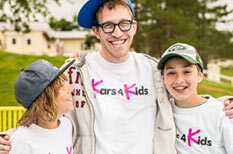 I had a wonderful experience with Kars4Kids, no complaints at all. The thought of parents not being able to bundle up their little ones in the frigid months because of the financial challenge is chilling. We do all we can by annually organizing winter coat giveaways. In recent years we have partnered up with a range of community leaders such as Senator Corey Booker and Tunnel 2 Towers Foundation ensuring outreach to those communities that are most in need. We run an impressive amount of nationwide after-school programs. Each program has dedicated volunteers and mentors, awesome activities and lots of great kids. As many programs as we have we can't cover all locations. 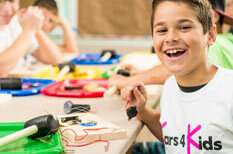 Therefore, Kars 4 Kids encourages others to start their own programs. This comprehensive start up guide is for people interested in helping kids in their own communities. I want to donate a car in Washington, DC but I'm missing my title. Is my car still eligible for donation? We can usually pick up a vehicle without a title in Washington, DC . We just need the registered owner to sign some paperwork for us. In almost all scenarios Kars4kids will apply for the new title for you. We'll handle all the paperwork and pay the title fees too. We'll need you to sign and notarize a Power of Attorney, and provide us with a copy of the driver's license. After that we'll do all the rest of the work. Print and sign your name on the back of the title in the "title assignment by seller" section. The sample title document to the left of this paragraph has a blue arrow. Sign where the arrow appears using the name listed on the front page of your car title document. The title document should be given to the tow truck driver at the time your car is collected. The plates should be removed from the car, prior to towing. Return the plates using the Online Tag Cancellation. The DMV will mail you a receipt for your records. You should wait until you receive your surrender tag receipt prior to canceling your insurance to ensure you do not incur insurance lapse fines. Once you've received your cancellation receipt from the DMV for your tags, you should cancel your insurance. A 1999 Ford F-250 takes the prize for the car with highest mileage donated in Washington, DC, clocking in at 332,000 miles! We cover the entire State area.